After a five year wait, 2015 sees the arrival of the world’s most keenly anticipated hot hatch, the Honda Civic Type R. Billed as a ‘race car for the road’, the all-new Honda Civic Type R is powered by the most extreme and high-performing Type R engine ever built, and will set new standards in the high-performance front-wheel drive hatchback segment. A world-first application of Honda’s new Vtec Turbo engine, a sensuous sporting sound, aggressive function-led styling, and pioneering new chassis technologies combine to deliver one of the most immersive and rewarding driving experiences available in any sector. Civic Type R is equally at home delivering this experience on the road as it is on the track, at the push of a button. 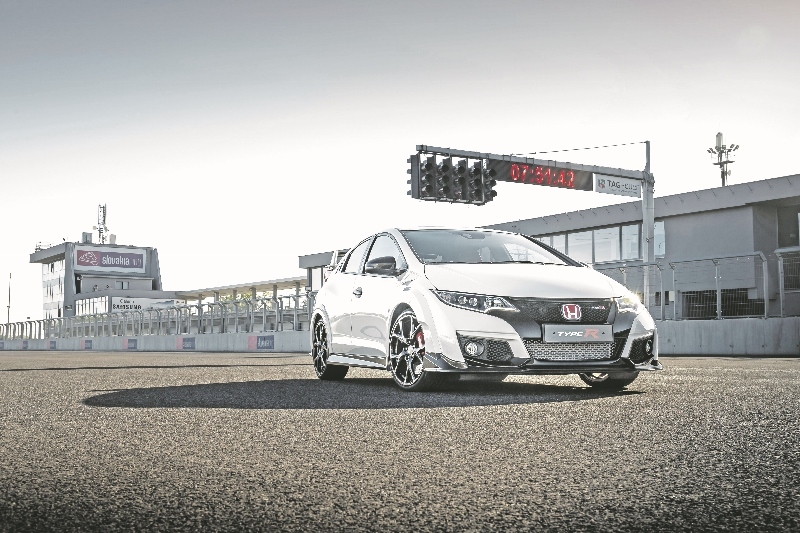 The new 2015 Civic Type R signals the start of a new performance era for Honda, drawing on the brand’s racing DNA to deliver the peak of the Civic line-up. Red-lining at 7,000 rpm, the engine features an advanced new turbocharging system which incorporates Honda’s legendary Variable Timing and Lift Electronic Control (VTEC) technology to boost low-end torque while delivering sustained acceleration. The new Civic Type R’s performance is unmatched in the front-wheel drive hot hatch segment: the 0-to-62 mph sprint takes just 5.7 seconds and top speed, where permitted, is a class-leading 167 mph. Despite this, the Civic Type R achieves low CO2 emissions of just 170 g/km, high-speed fuel consumption and compliance with Euro 6 emissions regulations. The new engine has a high compression ratio of 9.8 and is turbocharged, both of which make thermal management particularly important. As a result, the engineering team incorporated numerous cooling technologies, such as cylinder head and piston cooling, sodium-filled exhaust valves and a high-capacity air-to-air intercooler. The cylinder head has a two-piece water jacket, lowering exhaust gas temperature and effectively lowering the combustion chamber temperature, while each piston individually features a cooling channel to provide increased oil flow. Together, these technologies ensure the engine always delivers a high output even under high load, high speed driving conditions. A slick-shifting, six-speed manual transmission was chosen to safeguard an intimate, rewarding connection with the driver while making the most of the engine’s high output, strong torque and high revs. Each of the six gear ratios has been optimised for performance and matches the engine’s output and torque curve. For example, the maximum speed of 167mph is achieved in sixth gear when peak power is reached at 6,500 rpm. Final drive is through an exceptionally responsive helical limited slip differential. This type of differential aids strong cornering traction, even during hard cornering. This technology, when compared to a traditional differential, reduces the new Civic Type R’s lap time by three seconds per lap around the Nürburgring Nordschleife. The styling changes uniquely applied give the car an aggressive, purposeful stance, yet almost all have a functional purpose. The size of the holes in the front bumper grille, which serve air to the intercooler, are specifically shaped to minimise aerodynamic losses. The sleek and aerodynamically-efficient design reflects a car developed first and foremost to perform at speed. The focus on aerodynamics has ensured a zero lift coefficient and a minimum of drag which provides a class-leading overall aerodynamic performance. The Civic Type R’s unique aerodynamics utilise specific downforce-generating elements to create overall negative lift which is unusual in the industry and unique for this class in particular. The focus on airflow, not only around but also through the car, ensures negative lift at both axles combined with a minimum of drag. This is particularly noteworthy at the front of the car and allows high speed stability with a class-leading top speed of 167mph. The structure of the rear wing aerofoil – its angle, height and shape as well as its vertical end plates – have been carefully engineered to optimise downforce on the rear axle without causing a significant increase in drag at higher speeds. 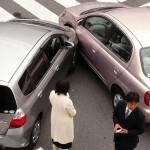 This helps improve road-holding abilities, particularly through high-speed corners. The new Civic Type R’s front and rear wheel arches are widened to accommodate an increase in front and rear track. The integrated arch extensions are in aluminium, providing a 42% weight saving over a conventional steel panel. The vents in the trailing edge of the front wheel arch extension also improve heat dissipation from the brakes. The front spoilers and door spoilers wear a piano-black gloss finish to highlight the car’s wide and low appearance. At the rear of the car, a pair of dual-exhaust tailpipes emerge prominently at the flanks of the rear diffuser. Clearance between the tailpipe finishers and the piano-black gloss rear diffuser has been reduced to an absolute minimum of around 20 mm. This imbues the car’s rear-view with an extra degree of aggressive tautness. At the front, running along the lower edge of each combination headlamp cluster is an LED daytime running light. Its sharply ‘up-ticked’ shape, produced using two LED light sources and a light guide, highlights the headlamp’s shape and is the longest lighting element produced by Honda. The rear combination lamps also feature distinctive LED light bars. New lightweight, high rigidity 19-inch alloy wheels, unique to the new Civic Type R, complement the visual changes. They fill the enlarged wheel arches with 235/35 R19 tyres that were developed specially for the Type R in conjunction with Continental. The new Civic Type R is available in five distinctive colours that give the purposeful new styling added impact. As well as Championship White – shared with successive generations of iconic Type R vehicles – buyers can choose from Crystal Black (pearlescent), Polished Metal (metallic), Brilliant Sporty Blue (metallic) and Milano Red.